We love beer in Portland, but we love cocktails (and Instagramming them) maybe a little bit more. Beyond visiting a brewpub or our favorite cocktail bars, we often think very little about just where all of this free-flowing booze is produced. More often than not when we leave the city for the coast, the desert, or the mountains, we’re passing up the chance to see many of the state’s 61 distilleries -- and the opportunity to try the spirits right where they’re made. 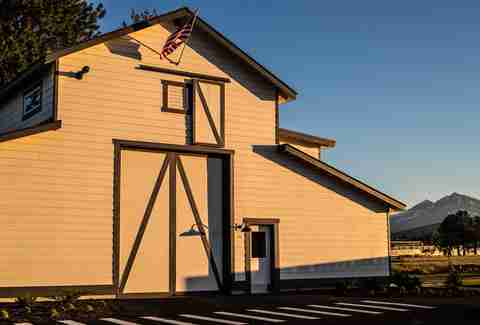 Here are some of the Oregon distillery tasting rooms you’ve been passing by at 65 miles per hour. Bribe your DD to stop; you gotta make up for lost time. When five whiskey fans decided their city needed a local whiskey to drink, they joined forces and started New Basin Distilling. While passing through small town Madras, stop off for tastings of the Strong American Light Whiskey, in addition to vodka and gin. And yes, more than five people live in Madras. Crater Lake Spirits' core of gin, vodka, and whiskey are dialed in -- as well as its liqueurs and flavored spirits like hazelnut espresso and pepper vodkas. 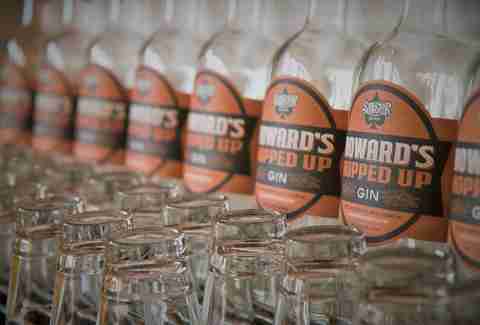 As one of the most award-winningest small batch distilleries, its expertise shows in the smoothness of the booze. You’ll see the main distillery as you enter Bend, but there’s also a tasting room downtown. Be sure to ask what you can try from its Reserve Series and Estate and Special Projects portfolio. 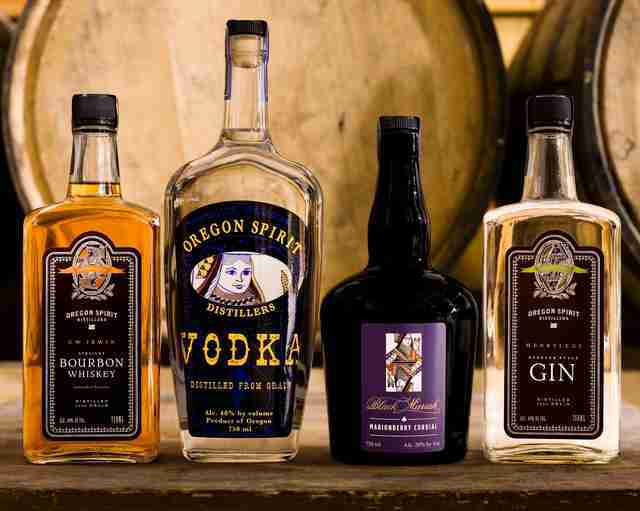 Although it's been around since 2009, Oregon Spirit Distillers has been mastering its bourbon and wheat whiskey lately. 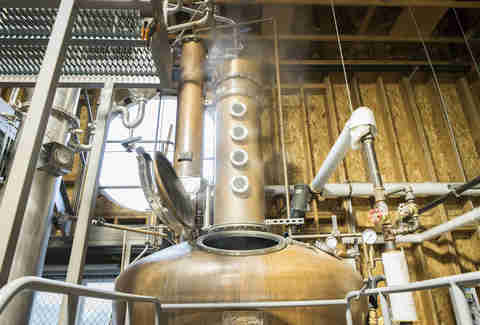 Making whiskey, especially good whiskey takes time and patience, and Oregon Spirit Distillers has nailed it. Ask for sips of its memorable brown spirits: Ottis Webber Oregon Wheat Whiskey and the J. Becher American Rye Whiskey. If you're in Bend for the weekend and you’re down for a short vacation from your vacation, head about 30 minutes out of Bend to Sisters, Oregon. Cascade Street Distillery is a rising star in Oregon gin production, producing one of the state’s most well-rounded and delicious small batch varieties -- its South Sister Gin is the best example of this thoughtful micro-production. Outside of Portland on your way heading southwest to the coast, stop in Tigard for Indio Spirits (or alternatively, on your way back before returning to real life). 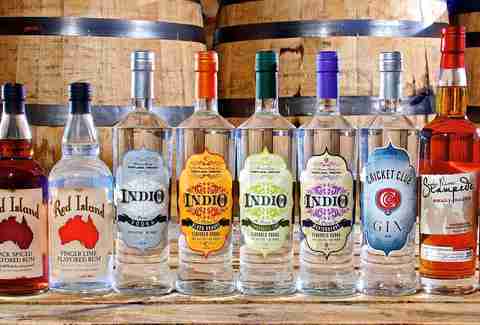 With one of the most diverse portfolios in the state, ranging from the usual Oregon spirits like vodka, gin, whiskey, and rum, Indio stretches its boundaries with hop flavored liqueur, curacao, finger lime flavored rum, and barrel aged vodka. From 1-5, take exit 234B for OR-99E toward Albany. In less than two miles, you’ll arrive at Albany’s first brewstillery, Sinister Distilling Company. The brewing side of the company, Deluxe Brewing, produces a Pre-Prohibition pilsner, Amber Lager, Schwarzbier, and other seasonals like a Helles Bock and Dunkel. Sinister Distilling Company produces gin, whiskey, and grappa (one of the only places while road tripping out of Portland to try some grappa). 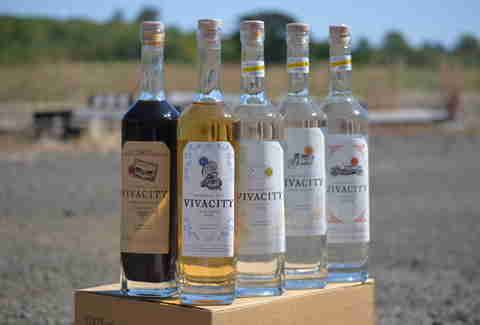 Located in Corvallis, Vivacity Spirits is on your way to Newport. Sample vodka, two kinds of gin, and rum, as well as the must-try Turkish Coffee Liqueur. Its vodka production method is a bit different than most distilleries in the state -- distilled from organic corn, it's filtered 10 times over three different media (one commonly used filter is charcoal). Filtration affects taste, and you can tell on the first sip -- Vivacity’s vodka is smooth as they come. When in Newport, an essential stop is at Rogue Spirits, one of the first distillery pubs in America. It began producing beer in 1988 with spirit production following in 2003. Sip your way through a tasting and afterward, order a cocktail like the Pink Ginger Sling made with Pink Spruce Gin, sweet vermouth, lemon juice, ginger syrup, and soda. Before leaving, ask for a tour of the distillery. Definitely stop at McMenamins when headed to the Hood and weave your way (grab a map, let’s not go crazy here) through the estate to the Distillery Bar. You’ll know you’ve made when you see the miniature golf out front. Edgefield is an old county farm built in 1911, and since the distillery opened its doors in 1998, many of Oregon's booze makers have made pilgrimages here to refine their product. You can tour the deceivingly small distillery where it’s all made or sip full-sized cocktails, like the Imbrie Old Fashioned made with Frank High Proof Rum, Aztec Chocolate bitters, simple syrup, and Amarena cherry, at the adjoining Distillery Bar. Just like in Bend, you can pass up the breweries and head for the higher proof stuff at Camp 1805 in the somewhat newly developed area on the waterfront near Pfriem Family Brewers. 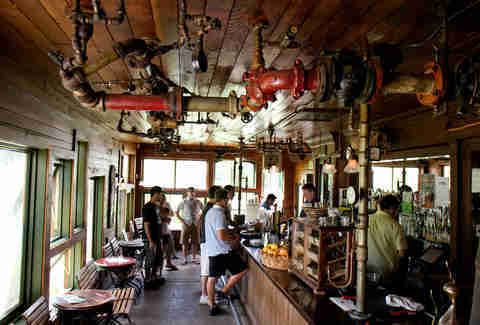 The set-up here resembles a brewpub (you can order full-size cocktails and food). 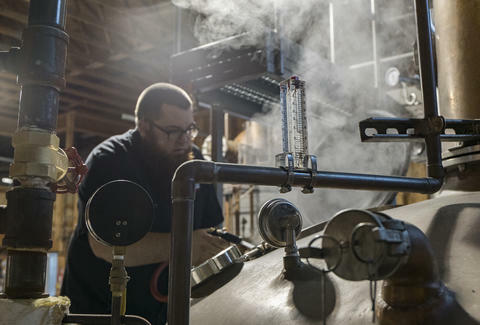 Claiming status as the first legal rum and whiskey distillery in Hood River, its production is moving in the right direction. For a “polarizing as hell” experience, try the Endurance White Whiskey. 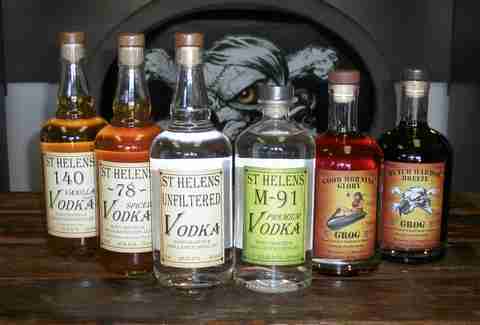 One of the oldest distilleries in Oregon at 82 years old is also a must-visit tasting room. 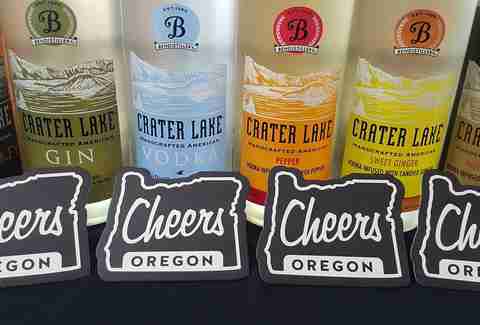 Known for Pendleton Whiskey and Sinfire Cinnamon Whiskey, the importer and distillery has purchased other brands with international distribution through the years, including Portland-based Clear Creek Distillery. 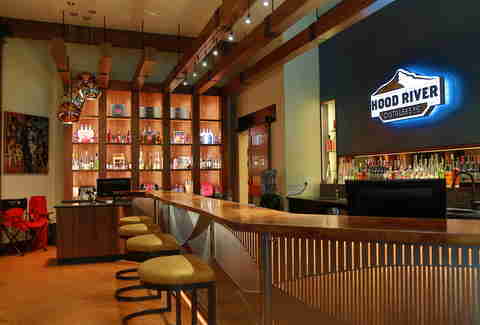 In the tasting room, you can try all of the spirits in its portfolio that have been produced all over the US. Instead of heading North to Astoria, head West towards Cannon Beach, which adds about 45 minutes to the drive and a tasting to your trip. 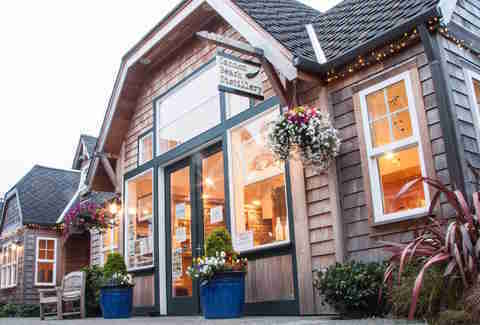 Once you're there, head straight to Cannon Beach Distillery. You’ll find rum, whiskey, gin, and Il Keyote, which is a one-of-kind agave spirit distilled like brandy. It’s not tequila because it’s not produced in Tequila, Jalisco, and thus cannot be, but it has all of the similarities we love about tequila with touches of brandy. There’s nothing quite like it anywhere else in the state, so don't miss the chance for a taste. 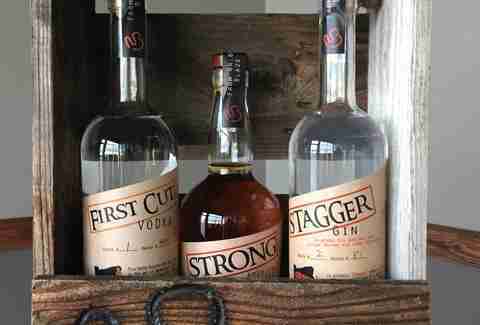 Astoria’s distillery will be your one and only for spirits in this up-and-coming coastal town. 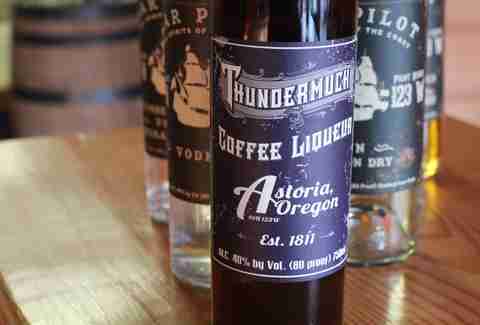 Try the Thundermuck Coffee Liqueur and the absinthe while hanging out in this small town tasting room that's also pouring house-distilled vodka, gin, and whiskey. 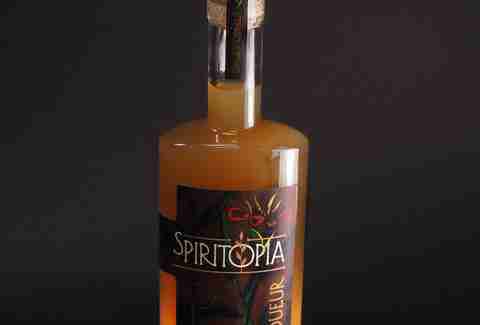 West Central Oregon has a lot going on in the way of artisan liqueurs, and depending on your palate preference, you’ll have plenty of options to choose from at Corvallis' Spiritopia, which produces ginger, apple, and pomegranate liqueurs perfect in cocktails. The company’s philosophy is centered around balance and these are just that. Elixir was founded by two Italian brothers with a mission to revive traditional Old World Italian spirits, and they have done an exceptional job in the distillery's seven years. 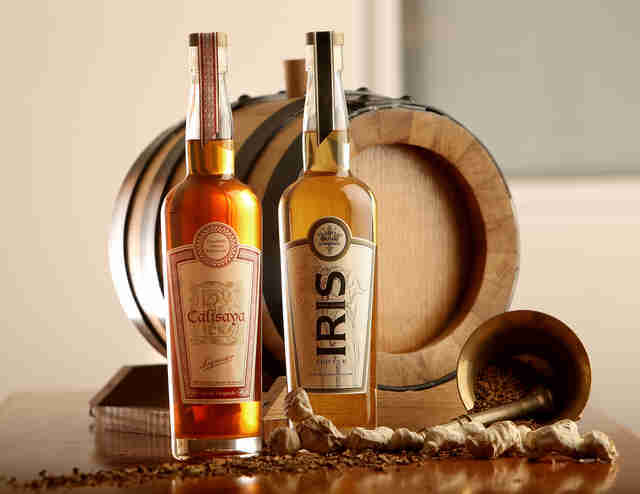 The brothers produce Calisaya Liqueur, a Peruvian shrub brought to Rome by missionaries in 1632. 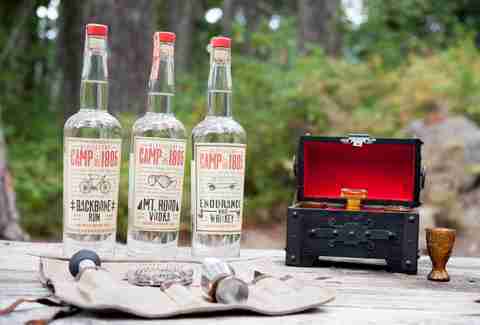 Originally a medicinal liqueur because of its high quinine content, it was used to combat malaria. The Iris Liqueur, made from iris plant root, is a delicate, floral spirit originating in Florence.